Every October, since the entire state of Ohio gets ghosts on the brain, I become obsessed with scouring the Internet for news article about ghosts and hauntings in the Buckeye state. For the most part, the articles fall into one of two categories. Most are simply re-tellings of old, established ghost stories. Every once in a while, though, an article will bring up a new haunting or legend that I hadn’t heard before. I love those! There is, of course, a third category. Thankfully, they don’t come around very often, which is a good thing. For these are the articles that send me into a blind rage. And trust me; it’s not pretty. Why do I get so mad? We are, after all, talking about ghost stories, right? Kind of hard to get worked up about things like that, isn’t it? Well, yes and no. I have no problem with a good scary ghost story, especially around this time of year. I don’t even mind if the story has vague references to individuals (i.e. : Old Man Willis, a sadistic Doctor Willis, etc.) or contains story elements that can’t possibly be true (i.e. : a man with a hook for an arm, a balanced national budget, etc.). For me, it helps add a little “wink” that lets the listeners and readers know “relax, this is only a made-up story to scare you. Enjoy.” Where I draw the line is when people start making grossly inaccurate statements and attempt to pass them off as fact. Such is the case of a recent article in the Lifestyle section of Northern Ohio’s Morning Journal. The article, entitled Haunted Explorations Available In Northeast Ohio, contained interviews from several people about various haunted locations in Northeast Ohio. One of the people interviewed is Sonya Horstman, a”spiritualist” who runs a successful ghost tour and also does such things as “conducting spiritual studies” and “hunting and banishing spirits”. When it comes specifically to her tours, Horstman discussed how an “important aspect of her business is dispelling urban legends and providing accurate accounts of what happened when touring sites”. Love it! Horstman also made a comment regarding not taking everything you hear about supposed haunted locations at face value: “Don’t believe everything you hear online or everything you read, because if you dig deeper you’ll find that the truth is quite opposite of what’s reported”. I couldn’t agree more. Oddly enough, shortly after making those comments (as least in the context of the article), the ghostly wheels fall off and all hell breaks loose. 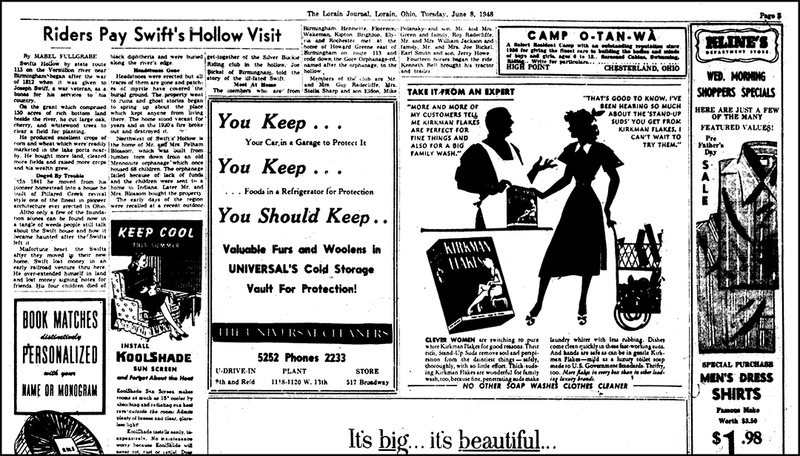 The article transitions out of Horstman’s desire to find the truth behind the urban legends by bringing up one of Northeast Ohio’s most infamous tales: Gore Orphanage. For the uninitiated, the legends swirling around Gore Orphanage center around an old orphanage that allegedly burned down with children inside. Their ghosts are said to haunt the grounds to this day. Truth be told, it’s a classic urban legend that has mutated over the years. Still, Horstman believes she knows the truth behind the legend. Let’s listen in! 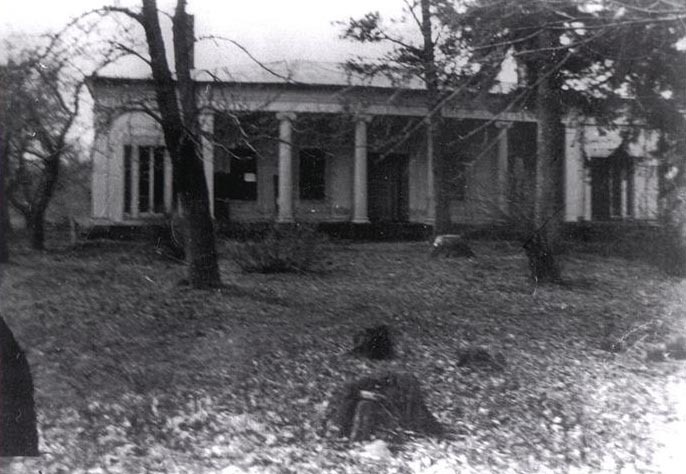 Horstman does not dispute the fact there was a fire that destroyed a structure on the property, or that it is haunted; but says the devil’s in the details of the story. “It’s actually related to witchcraft,” she said. Witchcraft, you say? Well, that’s certainly a new wrinkle to the tale. Wonder what Horstman means by “witchcraft”. Let’s read on and see if she can help clarify things. OK, wait. Satanists? Appeasing the dark lord? Seriously, what the hell is going on here (pun intended)? And you’ll need to help me out here, Sonya, because I don’t really know what an “unchristian-like burial” means. Gotcha. Yeah, it all makes sense now (sarcasm intended). In all seriousness, there must be something paranormal going on here because every time I read Ms. Horstman’s quotes, I literally levitate out of my chair. Yes, they anger me that much. For the record, I have been actively peeking into the legends swirling around Gore Orphanage since 1999. I’ve been there dozens of times over the years, and have even gotten a Skunk Eye or two from local librarians and historians who were convinced I was going to ignore the truth about the area and instead focus on the urban legends. I mention this because in all that time, I have NEVER come across anything even remotely close to the notion of Satanists or children being buried standing up. So I have absolutely no idea where Ms. Horstman is pulling this information from. So let’s look at this line by line, shall we? FACT: Not a single shred of evidence to suggest the Swifts were anything other than well-to-do Northern farmers who came to Ohio with the intent of building a mansion on a sprawling farm/estate. 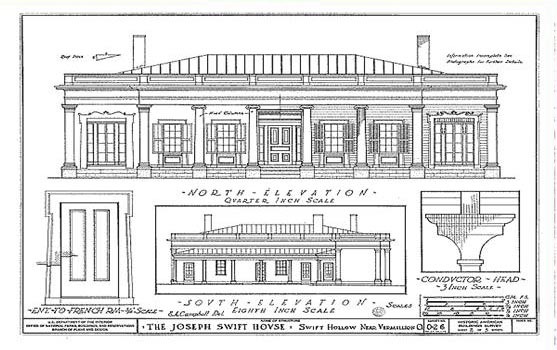 Folks back then did think the Swifts were a little nutty for building such a regal house, not to mention a farm, at the bottom of a hollow (the mansion was apparently referred to as “Swift’s Folly” by the locals), but last I checked, that was hardly grounds for being accused of being in league with the devil. 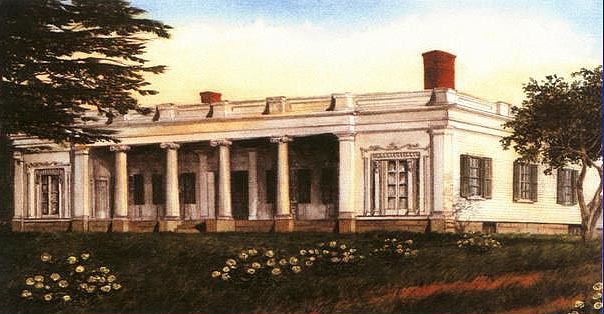 FACTS: The Swift’s lived in the home longer than 2 years.It’s believed that construction on the house lasted 2 years–from 1840 until 1842–so that might be where the confusion over “2 years” came from. But by all accounts, the Swifts either lived on or controlled the property until the 1860s, when they had to face the fact that the bottom of a hollow really wasn’t the best place to put a farm and sold everything off. It is true that two of the Swift’s children died during the time they were in possession of the property, but those deaths were more than a decade apart. Their daughter, Tryphenia, died at the age of 5 in 1831 and their 24-year-old son, Herman, died in 1849. 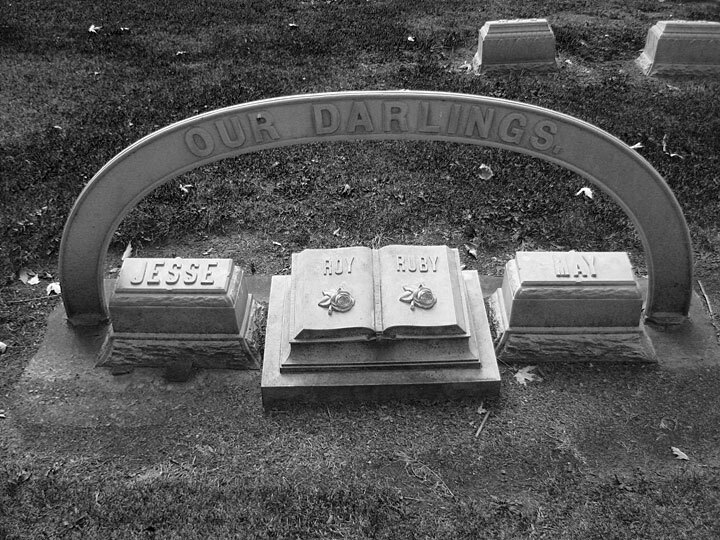 Both are buried in clearly marked graves at Andress Cemetery, which is also known as Gore Orphanage Cemetery because it sits at the far end of Gore Orphanage Road. Misfortune beset the Swifts after they moved in their new home. Swift lost money in an early railroad venture through here. He over-extended himself in land and lost money signing notes for friends. His four children died of black diphtheria and were buried along the river’s edge. The fact that the article mentions black diphtheria is key. Historians believe the first wave of what was called black diphtheria swept across Ohio in the 1880s, long after the Swifts had sold off the property. The other giveaway that the article contains erroneous information is the mention of four children rather than two. Here’s where things get really interesting. When the Swifts unloaded the property, they sold it to the Wilber family. Sadly, in January of 1893, the Wilbers lost four of their grandchildren (not children) to what is believed to have been black diphtheria. So these are clearly the four children the Lorain Journal is referring to, not any of the Swift children. And for the record, none of the four Wilber grandchildren are buried on the property. They are all in clearly marked graves, along with their grandparents, at Maple Grove Cemetery, which is but a short drive away. 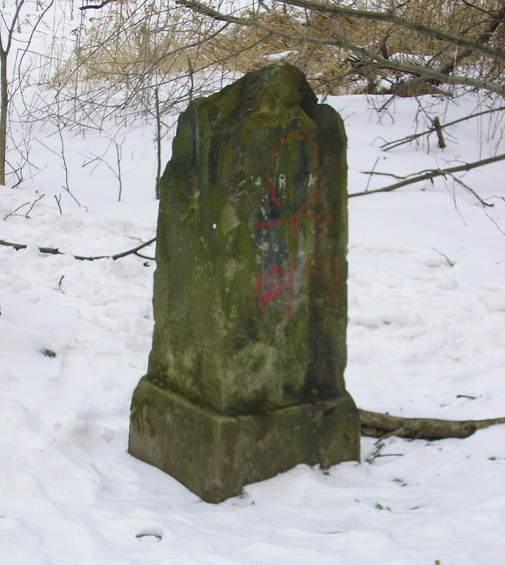 Finally, some people have pointed to the stone obelisk that is still visible near the Swift Mansion foundation and said it is a tombstone, but it’s not. It’s nothing more than a driveway and/or fence marker (although some said it sometimes doubled as a hitching post). Just for kicks, I had to look up why the “dark lord” would be so tickled to have people buried standing up. Guess what? Couldn’t find anything on that. Apparently, though, some cultures would bury their strongest warriors standing up to show that, even in death, they were still ready to defend their people. But that was more of a sign of respect than anything that would make a dark lord get all giddy. The closest thing I could find was that sometimes, traitors would be buried upside down to mockingly show that their “ways” were upside down. FACTS: The above statement is Horstman’s attempt to clarify what she meant by an “unchristian-like burial”. Now there are all sorts of rules and regulations when it comes to a Christian burial. But oddly enough, whether or not the body is laying down or standing up does not appear to be one of them. In fact, the only stipulation when it comes to the position of the body is that, whenever possible, it should be placed west to east with the head towards the west. This would be so that during the second coming of Christ (from the east), the dead could rise and face him. Reading that alone, one could deduce that the body would have to be laying down. I mean, it would be pretty hard to stand someone up and get their head to face west and their feet face east. However, it is noted that if it’s not practical to bury the body with a west-east orientation, it is acceptable to bury the body any way possible, as long as “the body itself is facing east so that it was see the second coming of Christ.” In other words, burying someone standing up, while unorthodox, can’t be considered “unchristian-like” as long as the body is facing east. So unless the “dark lord” really digs technicalities, I doubt this would have been something that appeased him. But hey, you never know! So there you have it; no Satanists, no unchristian-like burials, and no appeased dark lord. Just a whole bunch of misinformation. All of which begs the question; where did all this untrue stuff come from (other than the Morning Journal article, that is)? To be honest, I have no idea. As I said, I’ve been researching this story for years and have two file folders filled with news clippings and historical documents and this is all new to me. Internet searches turn up nothing, so it doesn’t appear that these are new variations on the legend. You could make the case that Sonya Horstman was really, really misquoted. It happens (I’ve had it happen to me more than once, and it makes me cringe every time I think about it). But I’ve re-read the article numerous times and I just don’t see how she could have been misquoted that many times. To be honest, I really don’t care where these new stories came from. All I care about is making them stop! Not only are they untrue, but they serve no purpose with regard to the Gore Orphanage mythos. I firmly believe that ghost stories and actual history go hand in hand and that ghost stories, even ones that can’t be proven, can help educate people about history. In this instance, who really owned the building many refer to as “Gore Orphanage” and the real events that led to the ghost stories cropping up. But what we can’t do is level false allegations against real people just for the sake of making a story spookier. This has to stop. Now. That’s where you guys come in. Please don’t let these untrue statements about the Gore Orphanage legend continue. Spread the word! BTW, for the record, I did reach out to the two reporters who covered the original story (and for the record, I like saying “for the record” since it makes this article sound real official-like instead of the rambling blog post that it is). They’ve yet to respond. The entire article from The Morning Journal can be accessed here. An online version of Bill Ellis’ What Really Happened At Gore Orphanage, which many people (including myself) believe to be the most comprehensive discussion on the legend, can be found here. 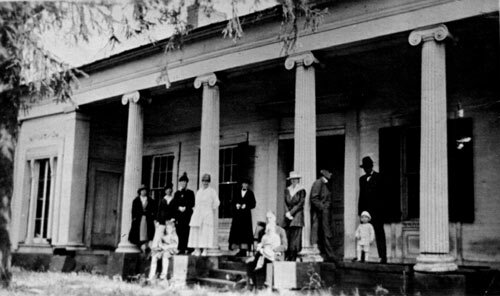 Vermilion Views has a wonderful, in-depth article on the history of the property, including information about the actual orphanage that later occupied some of the Swift property. Check it out by clicking here. Brady’s Bunch Of Lorain County Nostalgia, in addition to all sort of cool historical tidbits about Lorain County, also houses lots of historical photos and news articles related to the Swift Mansion. Give a click and check it out. Read more about what my organization, The Ghosts of Ohio, has to say about Gore Orphanage here. Good on you! Nothing drives me crazier than BS history in ghost legends. Now if we could only get the dude that does the haunted tavern tours in Columbus to stop saying nonsense, like the doctor in charge of the Central Ohio Lunatic Asylum supposedly murderng people by doing lobotomies on them almost a hundred years before lobotomies were invented. Thank you for the kind words! As I tried to make clear in my post, I am ALWAYS up for a good scary story. I think we just have to be abundantly clear where actual history ends and the ghost story begins. We’re not doing anyone any favors by muddying the waters of history by adding undocumented and unsubstantiated claims. this site is so false its funny. The swifts lived in the home for 33 years. He got the wives name wrong.this site is very wrong. don’t belive it. Kirk, thanks for taking the time to write. Although I do feel the need to clarify things for you: While the story does appear on my site, it is a re-telling of an article that appeared in last year’s Morning Journal, and is clearly marked as such. So all of your comments about this site being wrong and getting the wife’s name wrong really should be directed at the Morning Journal article and not my site.